Stages of Consciousness After a Concussion It’s important to remember that when a person has a concussion to the extent that they go into a coma that the chances of recovery is reduces to about 40%. A Traumatic Brain Injury (TBI) can be severe enough to cause a coma. In fact, more than half of all comas are caused by head trauma. Coma, meaning deep sleep, is a state of unconsciousness from which you cannot be woken by any type of stimulation. A coma is also called a persistent vegetative state (PVS). Coma, or persistent vegetative state, does not mean brain death. 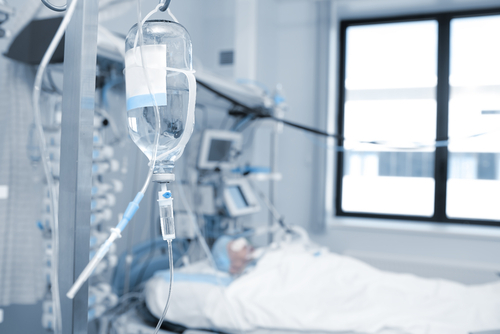 A person in a coma is alive but unable to respond to their environment. While comas usually do not last for longer than 2 to 4 weeks, suffering a brain injury severe enough to cause a coma decreases the survival rate from the brain injury by as much as 40%. The outcome of a coma depends on the cause, severity, and site of the damage. Some people come out of a coma without any physical, mental or psychological changes, but others are not so fortunate. A rare, but serious side effect of a coma is called locked-in syndrome (LIS). Locked-in syndrome, sometimes called pseudocoma, describes patients who are awake and conscious but have complete paralysis of voluntary muscle groups in all parts of the body except the eye muscles. Usually, family members are first to identify that the patient is conscious and aware but unable to move. It can sometimes take months to diagnose because the person who is suffering from LIS can appear to be in a coma. There is no cure for LIS, but with computer technology, those who suffer from LIS are able to communicate and control their environment with their eyes. A person in a coma can make improvements and transition into a vegetative state (VS). A person in a vegetative state will return to periods of wake and sleep cycles and regain low level brain function whereas a person in a coma or persistent vegetative state will remain in a deep state of unconscious sleep. A person in a vegetative state can make sounds and display facial emotions but is unable to speak. They can follow basic commands such as “squeeze my hand” but are unable to make purposeful movements. Once you are able to follow basic instructions, talk, and make basic movements you have transitioned from a vegetative state to a minimally conscious state (MCS) or minimally responsive state. People who are in a minimally conscious state perform tasks inconsistently and still require extensive care. The odds of transitioning from a coma to a vegetative state and then to full consciousness vary depending on the nature and severity of the injury and health of the person. There is a 50% chance of full recovery for those who remain in a vegetative state for over a month. Recovery from a coma is a slow process and individuals who suffered from a coma might have limited states of consciousness for a long period of time. A person might not be able to follow instructions consistently, become easily confused, and have difficultly remembering information. The length of the coma and vegetative state impacts your level of ultimate consciousness and chances of full recovery.